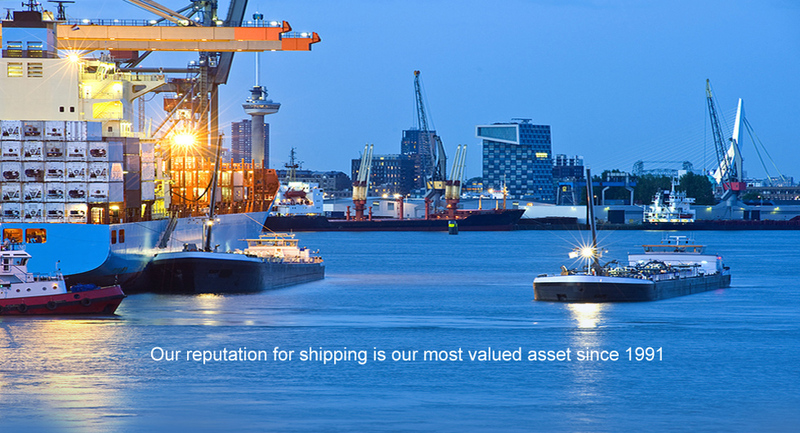 Shipping International Sea freight RO-RO. Export from the USA. RO-RO ("Roll On/Roll Off") is the term in the International Sea Freight Shipping Industry used for international shipping of wheeled cargo, which is driven on and off the vessel. You may find more about international shipping car and other types of motor vehicles in this link. International RO-RO shipping service is an alternative to shipping motor vehicles that can fit into multimodal sea freight containers: cars, boats on trailers, smaller wheeled constriction machines etc. However, if you are shipping international oversized wheeled cargo, such heavy trucks, trailers, cranes, excavators, railway carriages etc, then using a RO-RO sea freight carrier is the only one solution for your international ocean freight shipment. In order to get a sea freight price quote on an international RO-RO shipment please CLICK ON, FILL OUT AND SUBMIT THIS FORM ONLINE (you will need to select TYPE of vehicle to be shipped first) OR email us complete information related to your international sea freight shipment. NOTE: IN ORDER TO AVOID MISUNDERSTANDINGS WE DO NOT PROVIDE RO-RO FREIGHT RATES QUOTES OVER THE PHONE. PLEASE EMAIL. *These international shipping rates RO-RO may not reflect recent GRI and BAF increase and must be confirmed at the time of booking. These international shipping rates RO-RO do not include Terminal Handling Fee at origin of $80.00 (Los Angeles THC $150.00). LS – Means Lump Sum. I.e. flat fee on international shipping a vehicle RoRo that fits in the commodity parameters. This method usually used on shipping cars ro-ro. w/m – Means weight/measurement whichever is greater. Unlike with LS, international shipping sea freight cost RORO calculates by overall volume of shipping vehicle in CUBIC METERS (or by weight if density exceeds 1000 kilos). This method usually used on international shipping ro-ro large vehicles such trucks, trailers, boats on trailers etc. GRI - General Rates Increase annonced by Stemship Lines. BAF – Bunker Adjustment Factor. I.e. fuel surcharge. Varies depending on the oil market changes. Must be reconfirmed at a time of booking. THC – RoRo Origin Terminal Handling Charges are not included in rates above. ALL INTERNATIONAL RORO SHIPPING FREIGHT RATES ABOVE ARE SUBJECT TO FREIGHT FORWARDER'S SERVICE FEE 7.99% ON TOTAL / $200 MINIMUM UNLESS AGREED IN ADVANCE. Scheduling a booking on behalf of shipper with a roro carrier. Issuing a dock receipt based on (along with) carrier's booking confirmation. Support of shipping documents flow till issuing roro carrier's Bill of Lading on wholly paid shipments. IMPORTANT: SUBMITTING PROPER SHIPPING DOCUMENTS SUFFICIENT TO AN INTERNATIONAL RORO SHIPMENT IS SHIPPER'S RESPONSIBILITY. Customer support during shipments till ro-ro cargo reaches the POD. Tracking international roro shipments should be possible directly via carriers websites. Shipper's U.S. Tax ID (EIN) must be provided in advance. NOTE: Unlike with international shipping of vehicles consolidated in containers, at this time we do not offer pickup service on vehicles shipped RO-RO overseas. Shipper has to deliver his/her vehicle(s) to roro carrier's pier along with the original title(s) and go through the U.S. Customs at the pier before vehicle(s) will be accepted to the international RO-RO shipment by the roro carrier. 1. IMPORTANT: International shipping rates ro-ro, in roro carrier's booking confirmations offered at a time of booking, are based on information provided by shipper. Cargo (vehicles) will be verified at a time of submitting to the ro-ro carrier's pier. Ro-ro Carrier's final invoice will be based on actual type of cargo (vehicle) submitted to the ro-ro shipment and its w/m (weight/measurement) verification. 2. RO-RO PORT & THC (Terminal Handling Charges): Sipper is responsible to pay all applicable Port & THC at a time of submitting vehicle(s) to the ro-ro carrier's pier. If Port & THC paid by us on behalf of shipper then these charges will be included in our final ocean freight invoice. 3. DESTINATION CHARGES: All destination charges (i.e. taxes and duties, customs, port and carrier's destination agent charges, storage, demurrage if any etc) collect for account of consignee (importer of records). 4. U.S. CUSTOMS: SED – U.S. Shipper's Export Declaration. In order to file SED (Shippers Export Declaration), AES ITN and XTN should be provided by roro shipper in advance. Otherwise we may file SED on behalf of ro-ro shippers. In order to complete SED in AES on behalf of roro shipper, consigner's Tax ID (IEN) that corresponds with the consigner's name, street address and phone number may required. Schedule B code 8703230090 may be declared on all used cars unless specified by shipper in advance. 5. INSURANCE: We can obtain CNA insurance certificate issued to consignee's (recipient's) name. Notice: If you need us to get an insurance certificate to a consigner's (ro-ro shipper's) name, then it must be specified separately in email. In case of claim, claims for insurance will be processed by CNA's Claim Settling Agent located in the country of destination. Complete contact info of CNA's Claim Settling Agent is available in the insurance certificate. 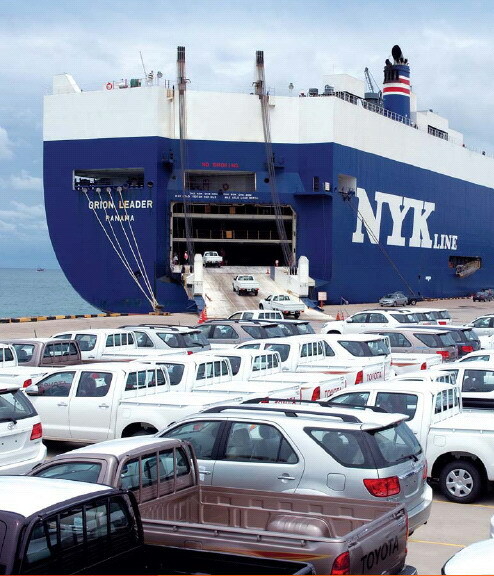 If vehicle(s) are not insured then all claims are to be directed to the ro-ro steamship line used onthe roro shipment. Vehicles with insured value up to $25,000 -- 1.5% @ value declared. Vehicles with insured value up to $50,000 -- 1.3% @ value declared. Vehicles with insured value above $50,000 -- 1.1% @ value declared. Notice: Insurance rates on ro-ro vehicles shipments may vary and must be re-confirmed at a time of booking. Before we will mail titles we may ask shipper to reconfirm recipient's name, address and phone# and pay S&H (if required) in advance. In order to get an international shipping quote on an international RO-RO shipment please click on, fill out and submit this form online OR email us. Our representative will reply to you with the rate in email. IN ORDER TO AVOID MISUNDERSTANDINGS WE DO NOT PROVIDE INTERNATIONAL RO RO RATES QUOTATIONS OVER THE PHONE. PLEASE EMAIL. Notice: For vehicles other than cars you will need to provide overall dimensions on your vehicle. Then the form will automatically calculate chargeable volume of your vehicle.